Since it's no secret that we at FCP Euro love (and race) Volkswagens, we thought we'd pay homage to the classic Vee Dubs that started it all. 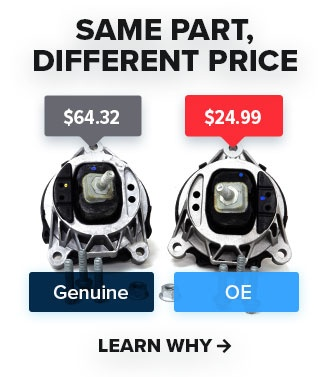 After all, without the classic air-cooled VWs becoming popular around the world, the water-cooled Volkswagen GTI TCRs that our race team competes with today wouldn't even exist. 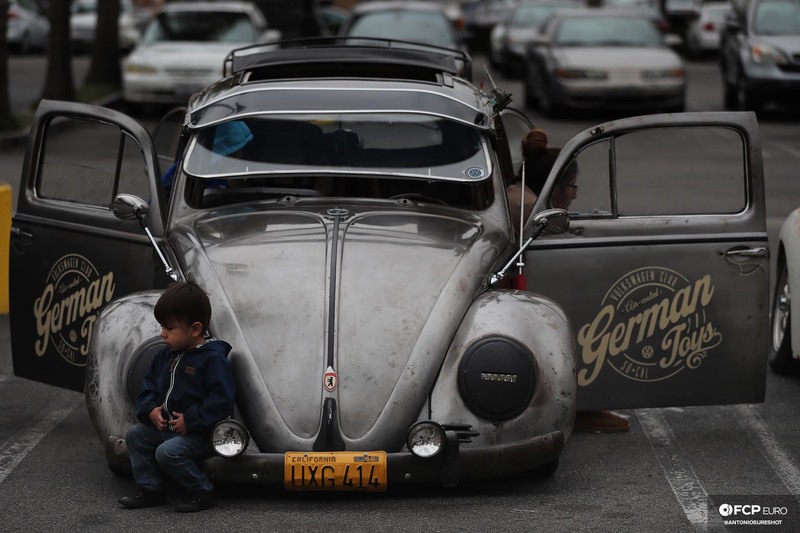 We traveled to the heart of Orange County, California to check out a vintage VW community gathering from a group called Der Kleiner Kampfwagens, based in the city of Santa Ana. 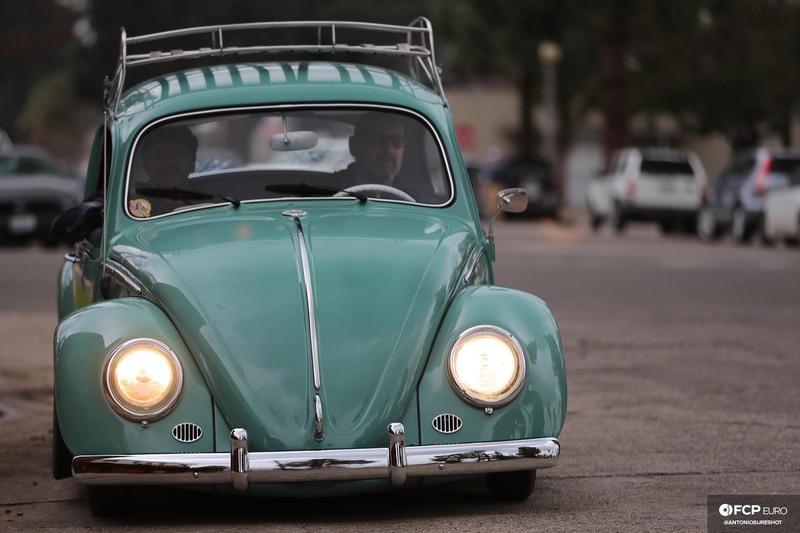 This classic meeting of the people's car was made up of several smaller groups of Volkswagen owners, like the awesome slammed green Beetle above, from Santa Ana Volks of Sur Califas. 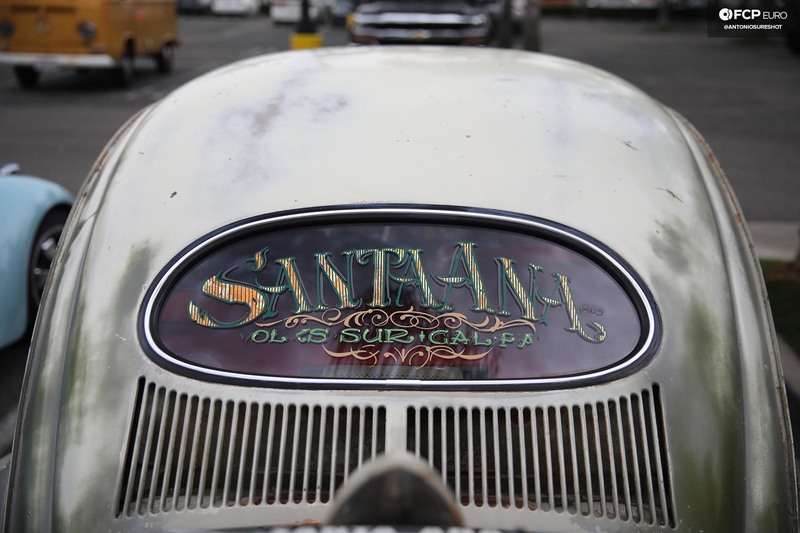 The rat rod look was popular among some of the Beetle owners at this meet. This clean, low Beetle from German Toys had plenty of that old car patina but also showed that the wear displayed on the body of the car was deliberate and well thought out. The hand-painted letters on the doors look amazing - the cream paint on top of the dark gray door looks amazing. Also, check out the custom LED strip headlights as a modern juxtaposition against the bumper-mounted fog lights up front. Love it! The wheels on this pair of Beetles were certainly eye-catching! You just can't go wrong with old school Empi 8 spoke wheels. Also, check out the Randar wheels are on the purple Bug in the back! You know what we love most when it comes to vintage cars? Vintage car accessories! 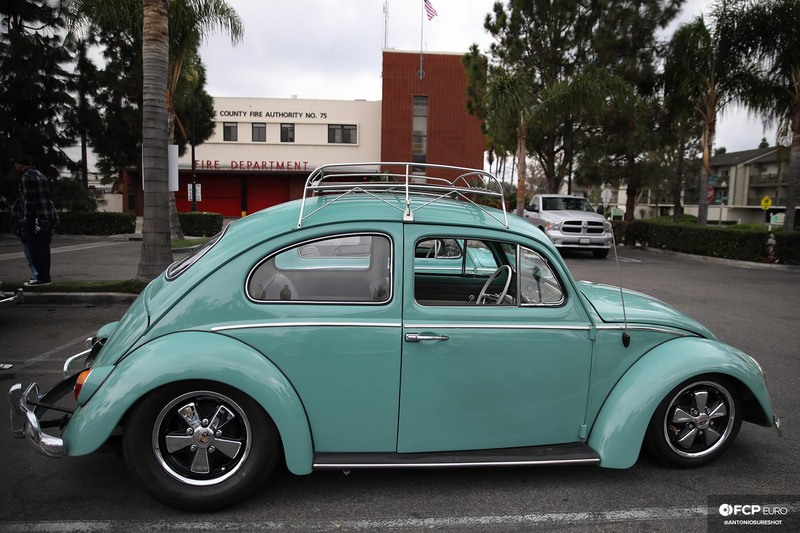 The aluminum vents on the front of this pre-1967 Beetle, the single door mirror, and the classic roof rack.. they're all so damn cool! 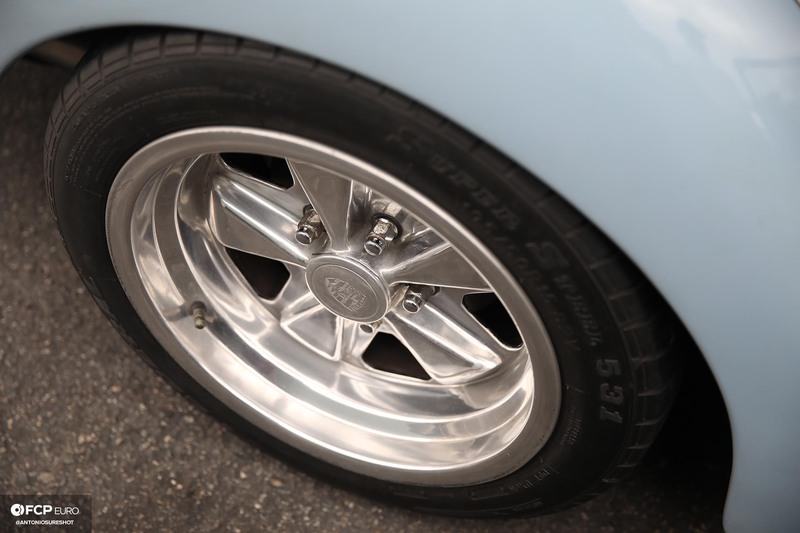 From the side, one can see the Bug is aggressively dropped on a set of classic Porsche Fuchs wheels with a staggered fitment. 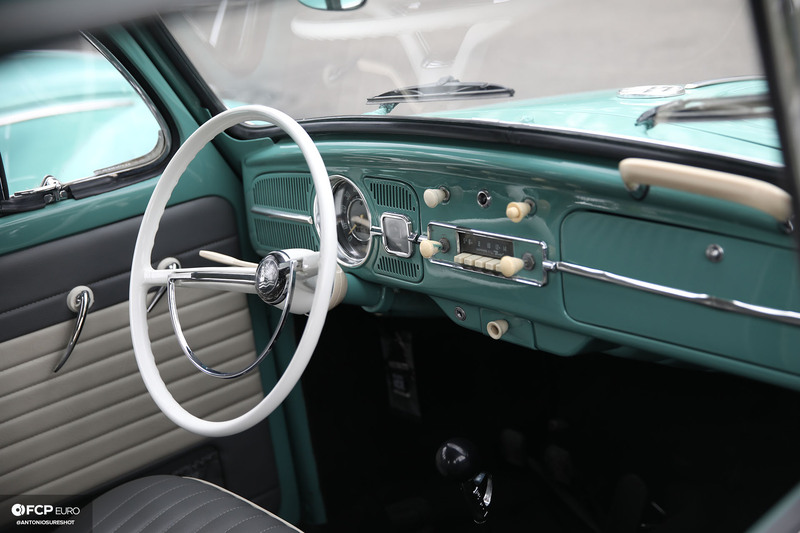 Inside the car, a super clean white steering wheel provides bright contrast against the teal painted dashboard. 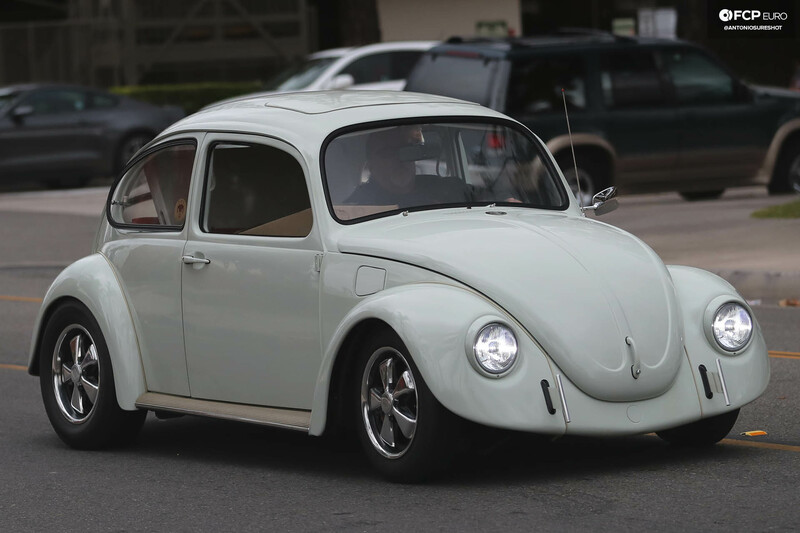 This particular late model (post-1968) Beetle had a similar look overall, but had a set of modern headlight bulbs, as you can see from the cooler color temperature of the headlights. 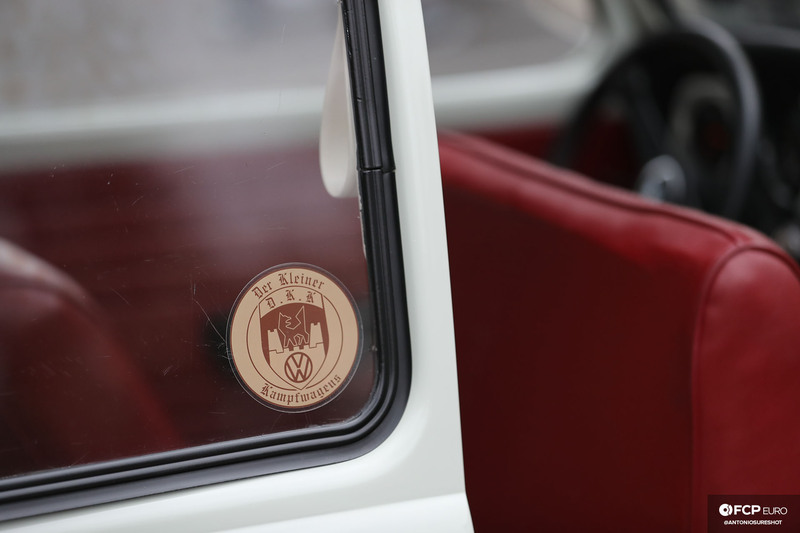 Inside, it had an absolutely beautiful red interior and a very clean placement of the group's Der Kleiner Kampfwagens decal on the side window. 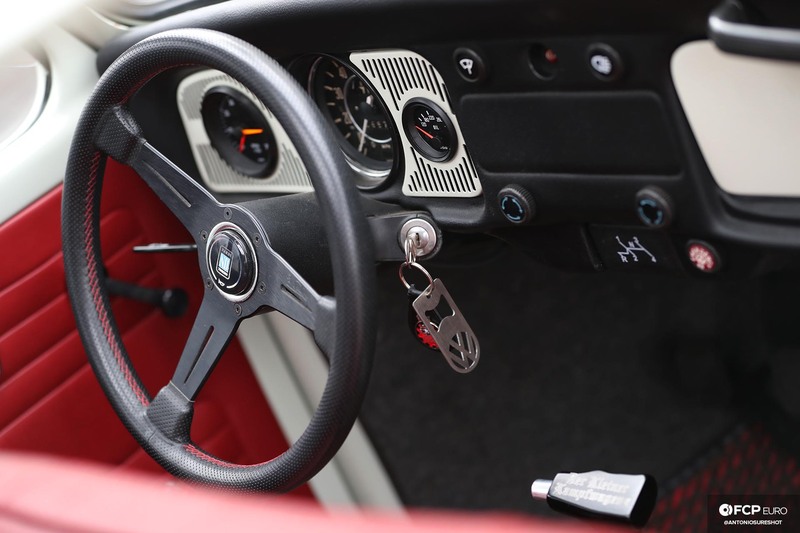 While the previous car had a classic OEM looking steering wheel, the owner of this Beetle opted for a more modern 360mm Nardi Classic wheel, with air leather and contrasting red stitch to match the door panels. Behind it is a solid aluminum steering wheel hub, which is super cool. Also, notice the classic VDO gauges flanking the factory gauge cluster. 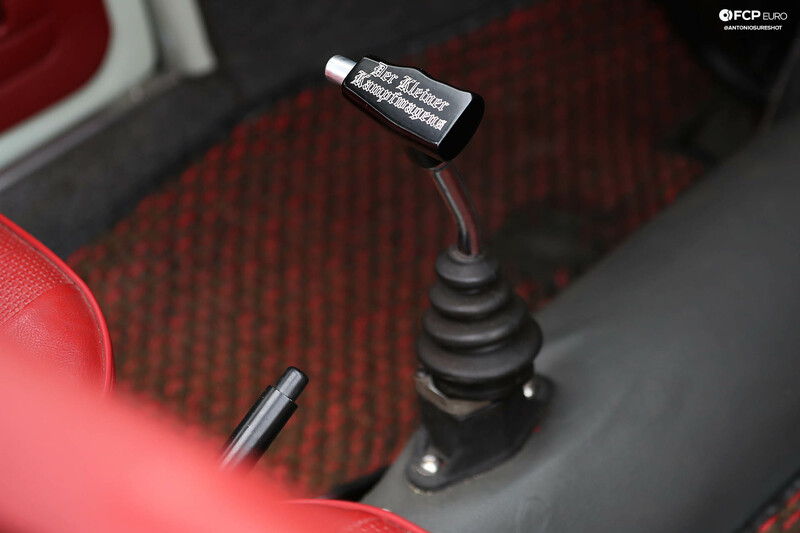 Of course, the interior wouldn't be complete without this custom t-handle shifter, with the Der Kleiner Kampfwagens logo engraved onto it. 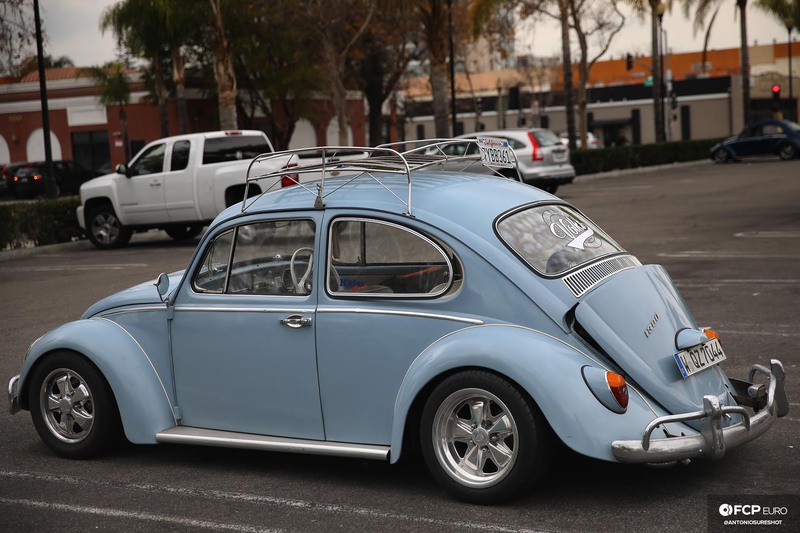 This particular Beetle attracted our attention because of its deep offset Fuchs wheels. Just look at the fat stepped lip on those Fuchs! Awesome. These are the best looking and most fitting type of Fuchs in our opinion. 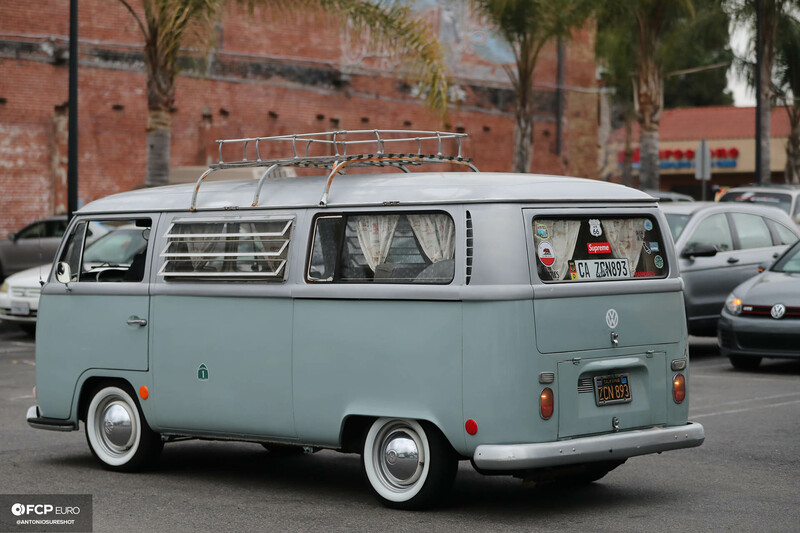 While most of the attendees at the meet had Beetles, this particular bay window Volkswagen Bus attracted our attention. 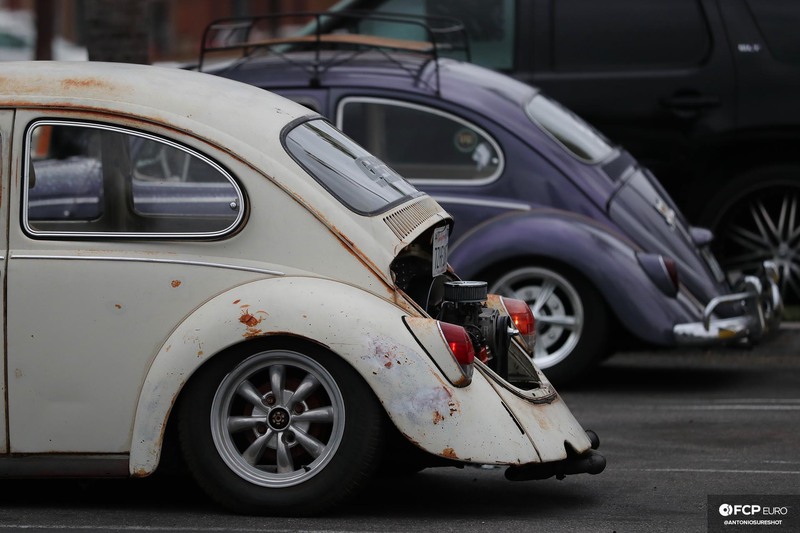 While we normally attend motorsports events and track days featuring newer German machinery, it was certainly awesome to spend time with the classic Volkswagen community. Many of the members welcomed us with open arms and were happy to share a bit of their story, and information on their cars. 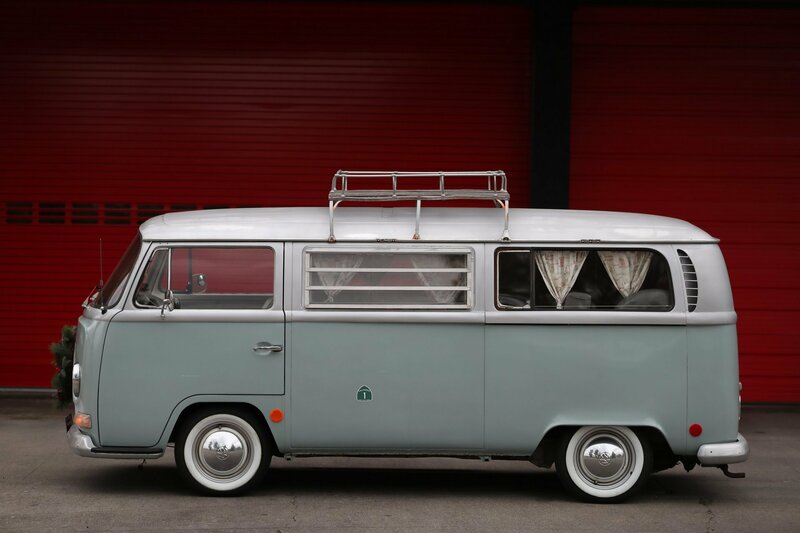 Believe it or not, most of these classic Vee Dubs are not daily driven. Some of the people we spoke with drive newer Volkswagens, like Passats, Golfs, and Tiguans for commuting to work every day. It's so awesome meet people who cherish older vehicles and have the passion for keeping them alive because that's precisely what FCP Euro stands for. We love helping others get their project cars running so they can be driven! If you're interested in more content like this, you can check out more here. And, don't forget to subscribe to our YouTube channel for additional video content! If you have any comments or suggestions on what you want to see in the future, leave them in the comments below. Subscribe to our blog for fresh content delivered right to your inbox. Keep me posted Sign up for Special Offers, News, & Promos from FCP Euro.